Study the picture below for no more than five seconds. Then describe it without looking at it. 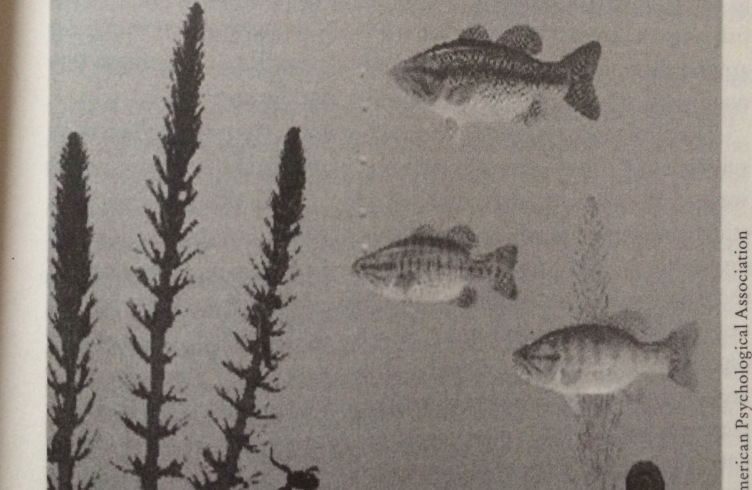 Turns out, if you noticed and described the three large fish in the tank, you think with a more individualist mind. On the other hand, those who noticed the other details – the bubbles, vegetation, the frog – think with a collectivist mind. 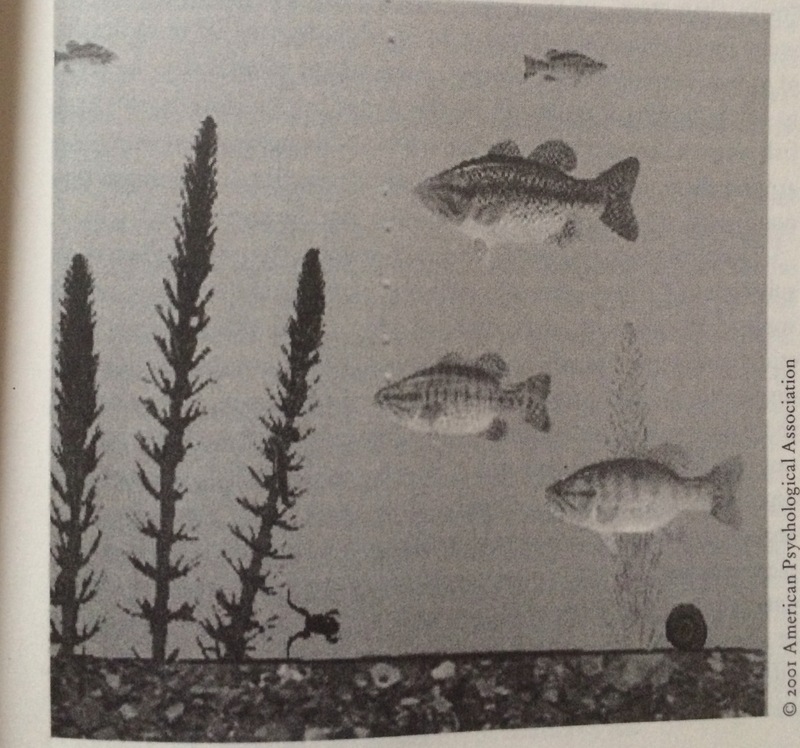 Psychologists Takahiko Masuda and Richard Nisbett tried this experiment on American and Japanese participants, and the Americans were quick to point out the larger fish first, while the Japanese focused on the scene as a whole. So what does this even mean? Well when you think with an individualist mindset, you are constantly considering the outcomes that will be most beneficial to you. It’s all about the “I”, or the self, when planning your life agendas and long-term goals. Individualists are defined by their interests, personality traits, and actions; “I’m an anime fan” or “I’m an aspiring model”. 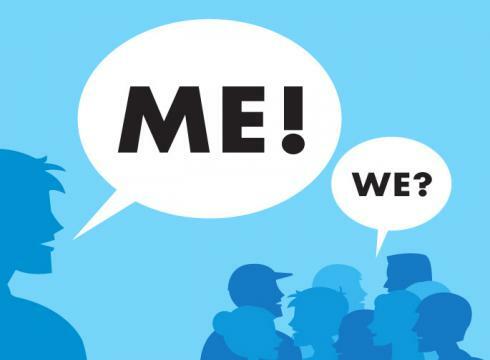 With a collectivist mindset, members of that society are thinking more in the sense of “we”, with a framework that includes working with coworkers, family, or the community as a whole. As psychologist Sheena Iyengar puts it, instead of everyone looking out for them selves, “it’s believed that individuals can be happy only when the needs of the group as a whole are met,”(Iyengar,32). Harmony within these social groups is key; maintaining positivity in relationships is how collectivists understand their own identity. Japan is one of the most collectivist cultures in the world, along with many other communities in East Asia and Central America. To help understand this concept better, I liken collectivists to American liberals, and individualists to American conservatives. In North America, liberals believe it is the government’s duty to ease social ills and protect civil liberties and human rights. Liberals, like many collectivist societies, see the government as society’s comrade in solving its biggest issues that face the public, and also just as responsible for any lack of responsibility. In their eyes, we are all in this together, and if everyone’s best interests are met, then society will thrive as a whole. On the other hand, conservatives, like individualists, believe in personal responsibility and give precedence to their own goals over the goals of others. Someone living in poverty is not a reflection of the government and society’s actions, but rather that individual’s problem due to personal choices. Conservatives believe the government should provide people the freedom necessary to achieve their personal goals; this mirrors individualist societies which focus on the “I” and how to attain said goals. To sum up the concept of individualism, from Ben Franklin himself: “The Constitution only guarantees the American people the right to pursue happiness. You have to catch it yourself.” It is no wonder the United States is one of the most individualist societies in the world. When I first came upon image in The Aquarium Experiment, I described the scene holistically, with the grains of sediment on the bottom my main focal point. Following the study’s conclusion, this should mean I’m thinking with a collectivist framework, which is kind of odd considering I was born and raised in the United States. My American-born boyfriend also reported the aquarium collectively. How come we ended up outliers, dissenting (subconsciously?) from the majority of fellow Americans? 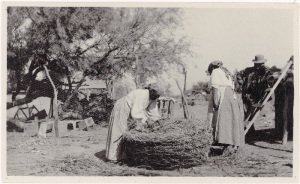 Choctaw women build a granary for food storage. This would store food for the whole village, thus working together was key to survival. From the National Museum of the American Indian. I’m willing to bet being enrolled tribal members raised in an Indigenous community has a lot to do with our conclusions. Being apart of a tribe has essentially always been about the social interaction between its members; we make decisions that affect our entire people, whether it’s water rights, changes to our tribal constitution, or voting on tribal health benefits. When we vote on topics at our meetings, we are making choices that affect not just one person, but many. This very concept has been central to tribes since time immemorial; it’s always in the tribe’s best interest to look out for each other in order to guarantee cultural and physical continuity, especially since Indigenous groups have been singled out for eradication since 1492. I would even argue that European colonists’ drive to eliminate Indigenous populations has made these populations band together with a more concentrated effort than ever before; many contemporary Native nations continue collectivism as an act of survivance. To me, no answer is better than the other; rather, they are simply a reflection of the culture one was raised in. 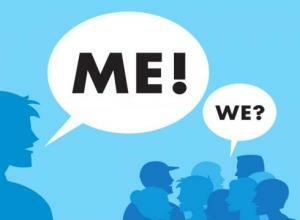 If we want to understand more about ourselves, it helps to understand our environments. More often than not the society we live in influences many decisions we make, and we start to understand that we either value the autonomy of the self, or the harmony of the community. We realize that to collectivists, the harmony of their community is how they achieve inner joy, sacrificing personal interest for group interest. Likewise, we realize that with individualists, inner joy comes from self-reliance and the freedom to make our own destinies, and thus our own realities. Let me know in the comments what your results were, and if they feel true to you! Source: Iyengar, Sheena. The Art of Choosing. New York: Grand Central Publishing, 2010. Print.